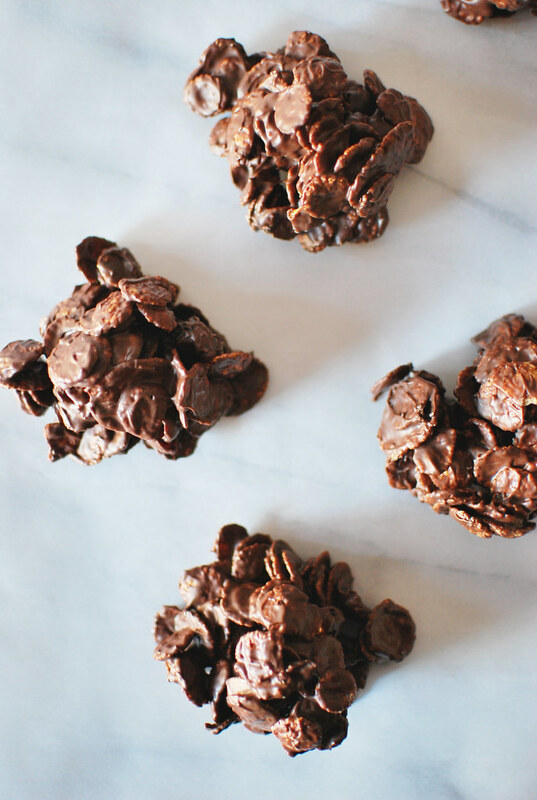 These English Chocolate Crisps are so addictive, you'll want to eat all of them yourself! Happy Monday you guys! Hope you all had a wonderful weekend. Were you all busy doing last minute shopping? We picked up some gifts or rather we printed out some gifts (framed photos are a great gift that won't blow the budget), but all in all we have our ducks in a row before the craziness ensues this week. Did I mention that we are hosting Christmas dinner (eek! I'm freaking out just a little bit) and have literally just finalized the menu this morning. Talk about last minute planning, eh? And I'm thinking I'm going to wing it with the table setting. Crazy, huh? I'm living on the edge people. I'm hoping all the years of hoarding all sorts of tableware and table linens will come to the rescue and get me out of this pickle I'm in. Wish me luck! I realized the other day that I haven't shared any recipes recently (my bad! do people still say that...), so I wanted to share with you a few that I are on repeat in our home. The first is what you see above. 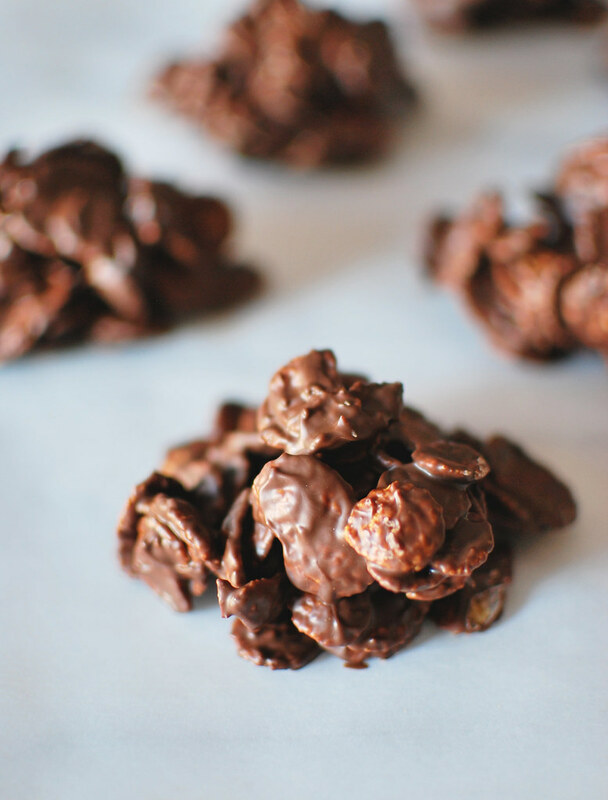 English Chocolate Crisps by Ina Garten. I don't even need to explain myself here because anything that woman makes is sheer perfection and these crisps, or rather delicious mounds of corn flakes, chocolate, & cranberries are everything I want in a holiday dessert. The sweetness of the chocolate balanced with the tartness of the cranberries, and then the crunch from the corn flakes makes for something extremely addictive. And for those of you who are on the dairy-free, soy-free diet/lifestyle, this dessert can easily be made with ingredients that fit your needs. Another dish that has been on major repeat over here are Ground Turkey, Olives, & Raisins Empanadas (see below). 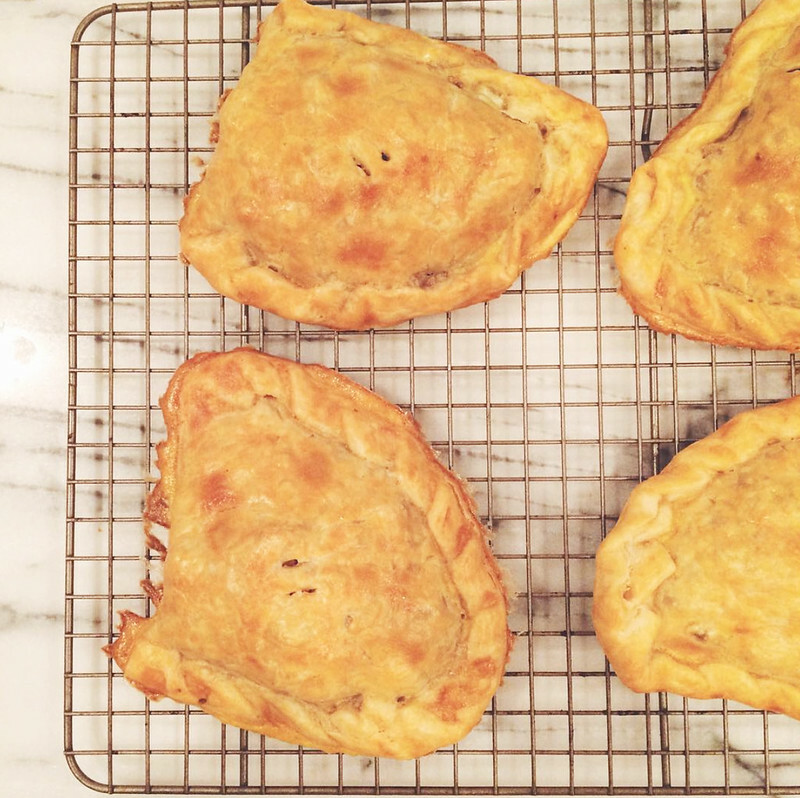 A few weeks ago, I was at a loss for what to make for dinner and what we had in the fridge were the ingredients to make these empanadas. I did a google search for ground turkey recipes and this one popped up and I am so glad I tried it out. It is our go-to quick dinner that is absolutely delicious and makes for great leftovers, if you have any that is. And one last recipe that we have about once a week because Steve loves it that much is this One Pot Lemon Herb Chicken & Rice dish. I came across this one on Pinterest and knew it would be a hit. You really can't go wrong with chicken, lemons, herbs, butter, and rice. Am I right? I think we've made this about half a dozen times since I've found this recipe. That's how much we like it over here. It's super easy and it's all done in one pot, so clean up is a breeze! The other night, we took out our crèche and had Cora set it up. 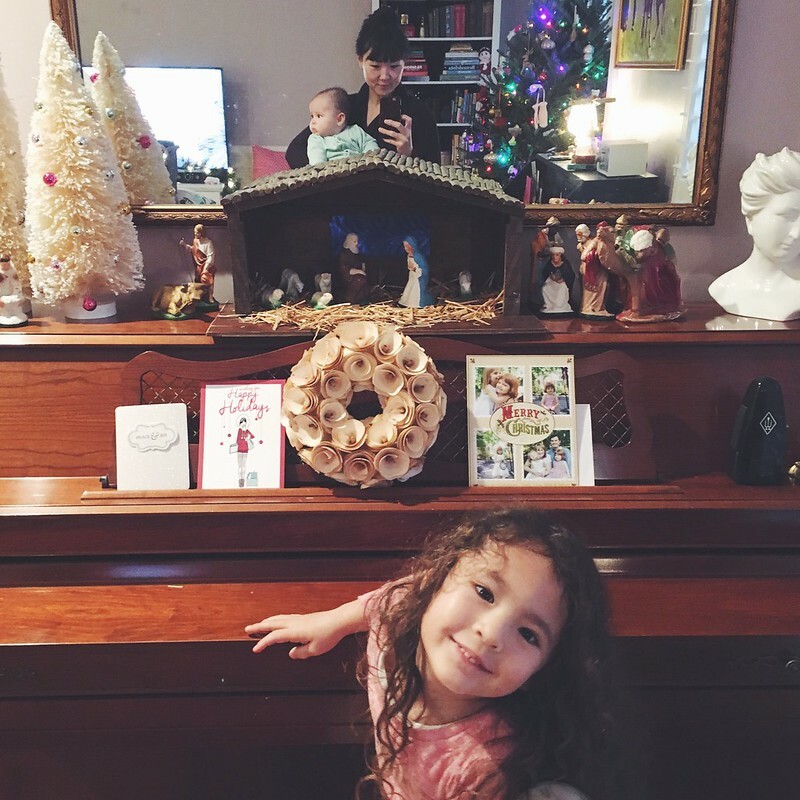 She gets really excited and into anything Christmas-y and she dove right in with setting this up. We had noticed for the past month or so that Vivi kept watching us with jealous eyes anytime we were eating. She would even smack her lips as if she was imagining herself eating. So we figured since she's going to turn 6 months old the day after Christmas (how is that even possible?? 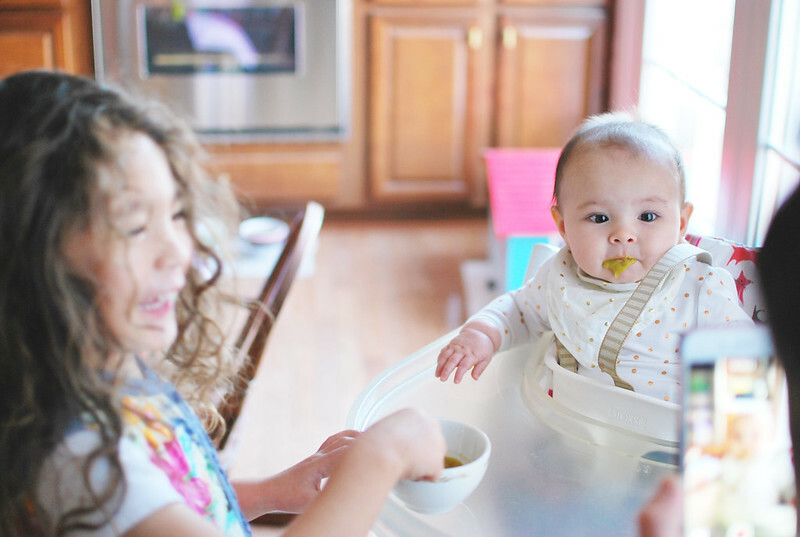 ), might as well give it a go with letting her try some baby food. 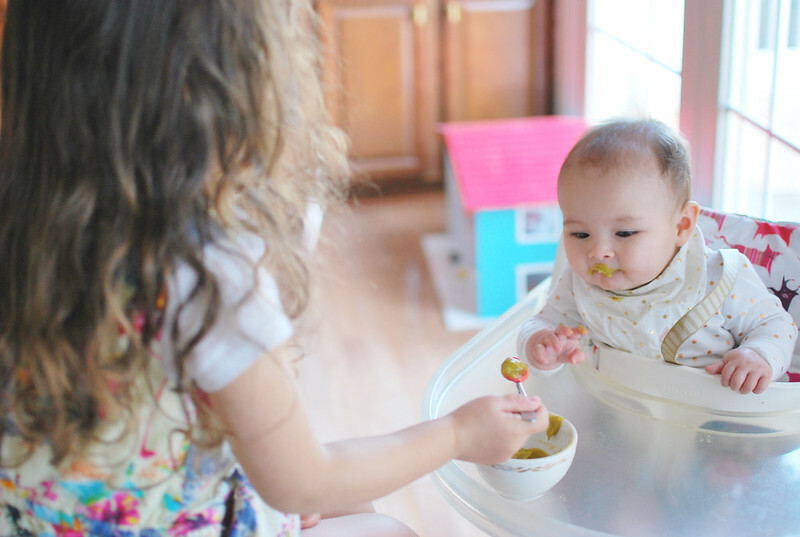 We decided on sweet corn and green beans as her first meal and she LOVED it! It might not look like it in these photos, but she was chowing down. I think she would've finished the entire jar had we given it to her, but since it was her first time, we just gave her a little less than half the jar. 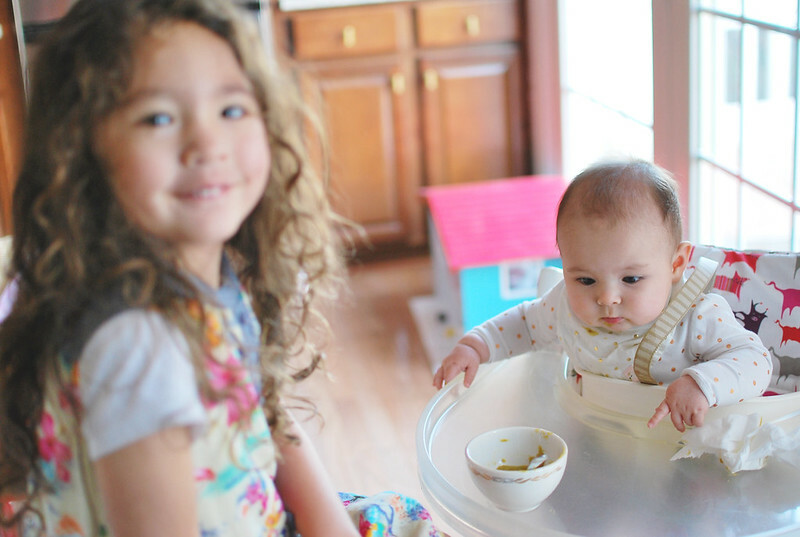 And we let her big sis, Cora, have the honors with giving her her first bite of food! 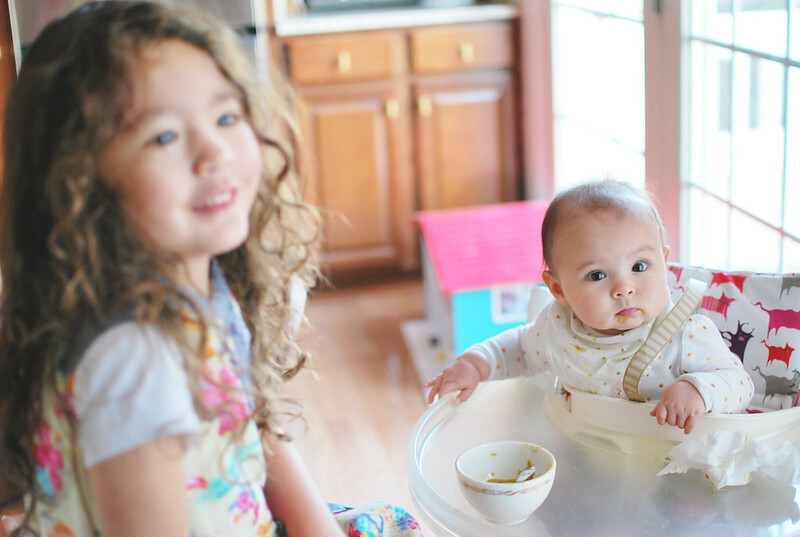 Cora felt so proud of her baby sister for eating it like a champ and she was proud of herself for doing something so big-girl like. We marked the occasion with lots of photographs and got it all on video. I shared a little clip over on my Facebook page. Those eyes say it all, she wants more!